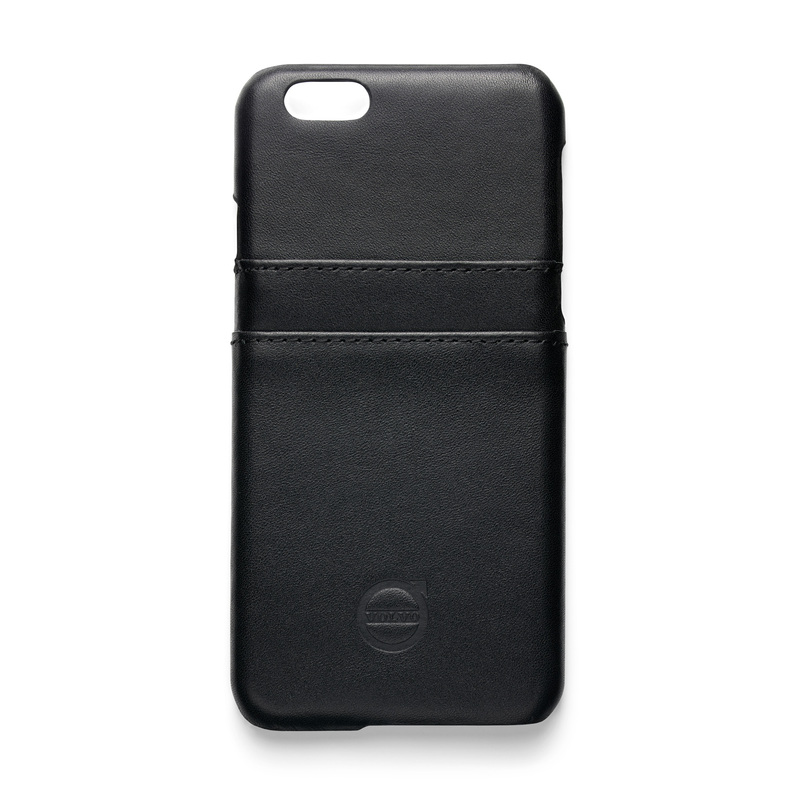 Black leather iPhone case to fit the iPhone 7 with two credit card pockets on the back. Embossed Volvo ironmark logo. 14 x 7 cm.